Fans would expect nothing less from Grand Rapids, Michigan-born, Radiator Hospital. The band’s latest album release, Play The Songs You Like, is just as refreshingly unique as the album’s cover. Every song has its own distinct mix of influences from various sub-genres, making it nearly impossible to describe a single sound for the album as a whole. Each track is seamlessly woven into the album and filled with pure emotion. The opener, “Long Distance Dedication,” starts the album off with an addictive garage rock beat and raw vocals from lead singer, Sam Cook-Parrott. The track is filled with lo-fi dissonance and background distortion, giving the song body and spirited energy. The album’s sixth track however, “Nothing Nice,” greets listeners with a more tender, bedroom pop underscore. The refrain is catchy and fluid, describing how it feels to be utterly uninspired. “Cheap Day” follows directly after, giving the listeners access to a more sensitive side of the band. Rosy and tender, this song is perhaps the most vulnerable on the album, filled with soft guitar chords and gentle melodies. Making way through the album, neo-punk track “Sycamore” brings back the same upbeat, high-bpm bounce that was introduced at the beginning of the album. The song contains grungy guitar riffs that end the song with an electrifying distorted fuzz - the perfect lead into the closing track, “Absolutely Positive”. Essentially, Play The Songs You Like is experimental, avant-garde, and absolutely addictive. 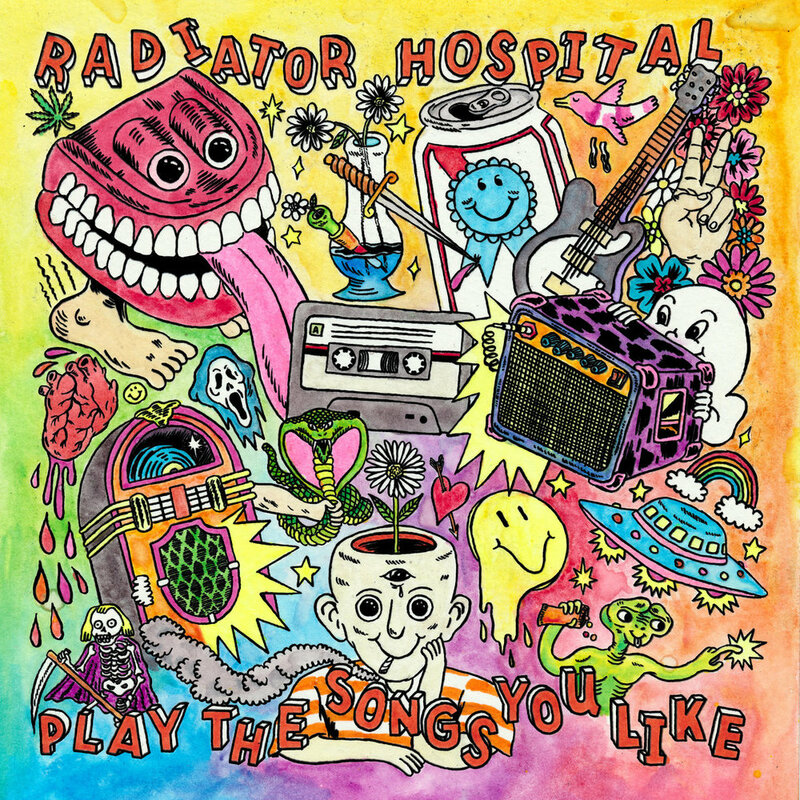 Radiator Hospital has, as always, combined authentic energy with raw emotion, forming one of the best albums of the season. With such heavy diversity among the tracks, there is definitely a song for everyone. The album title is spot on - play the songs you like - there are sixteen of them!